After starting off in VR with some killer hardware, HTC's getting into VR software, too. The company recently announced the Viveport app store is now available to Vive users in more than 30 countries including the U.S. Previously, Viveport was only available in China. Viveport's fairly small right now, with 60 titles currently available. But that's sort of the point, as HTC's app store is a more curated market focused on non-gaming VR experiences. There are a few games to be sure, such as Cloudlands: VR Minigolf, Everest VR, Fantastic Contraption, and World of Diving. The larger focus, however, is on VR experiences such as cinemas, planetariums, guided meditation, and virtual tours. All of the games that do appear in Viveport could loosely fall into those categories as well. The story behind the story: Viveport's a way for HTC to add value to its headset without crossing over into Steam’s territory. For now, that is. 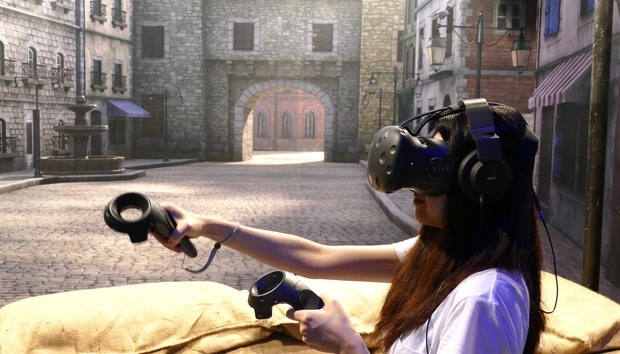 Once SteamVR pops up on more headsets—as Valve plans to make it widely available—HTC may very well want its own storefront to stand out from the crowd. Viveport's available to VR users now. Over the next 48 hours, HTC is offering several Vive games for just $1, including theBlu, Mars Odyssey, Stonehenge VR, The Music Room and Firebird – La Peri.